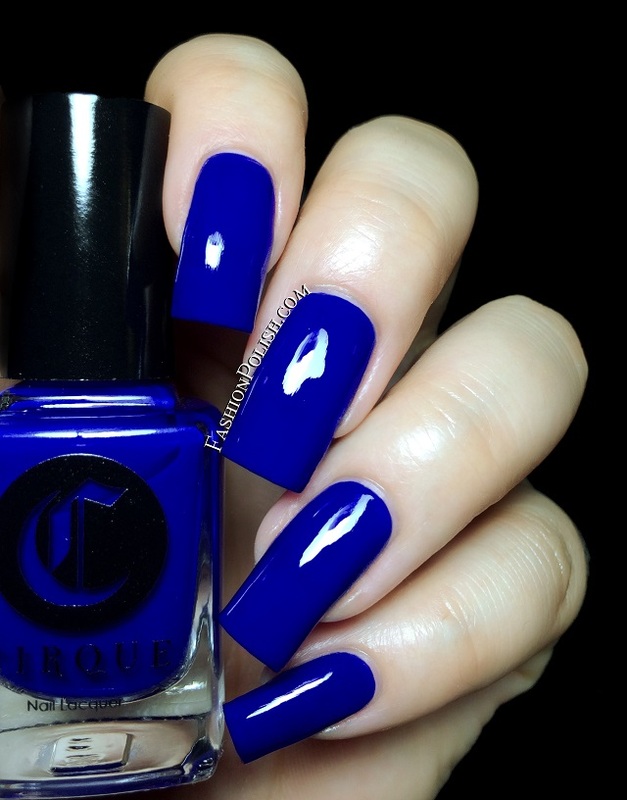 I have another Cirque review up today, the very first color from the Metroplis series : NYFW. NYFW is the ultimate blue creme. Seriously, if you're into blues, you're going to LOVE this deep, saturated and creamy ultramarine blue. Application was nice and easy, it required 2 coats for complete coverage and dried to a semi satin finish. Shown here : 2 coats plus topcoat. Every month, rhe Metroplis collection will feature a new color, highlighting the great city of New York. September's release NYFW is already available on cirquecolors.com and retails for $13. For a list of international Cirque stockists, please refer to this list.